There’s no denying that giving presentations can fill you with anxiety. Standing in front of an audience with all eyes upon you can be nerve-wracking. But if it’s any consolation you should know that all good presenters have nerves before an event. The difference is they don’t suffer from them. They manage their nervous energy to benefit their presentation. So when they are to give a presentation, PowerPoint or Keynote, all that energy is channelled into the task of presenting. You can do the same with this presenting tip. 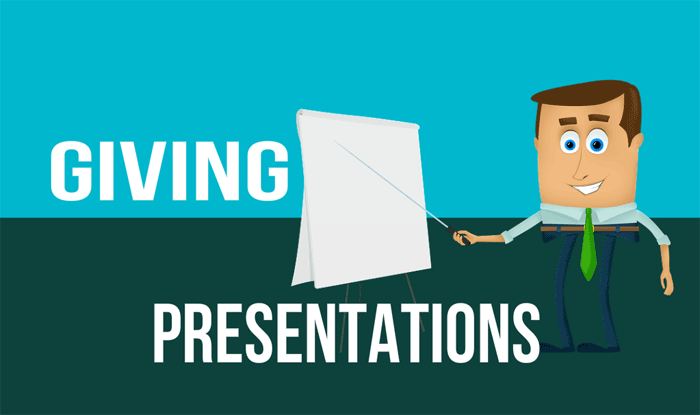 Be prepared before you deliver a presentation. Before you give a presentation, rehearse and familiarise its content. For a good presentation you should target one hour of preparation for each minute of talk. So, a ten minute presentation might well mean ten hours of preparation! Thus, plenty of practice will help you combat public speaking problems or other presentation issues. Tell yourself that you are the best presenter. Tell yourself that you are the speaker your audience wants to listen to. Remind yourself that only you can give your presentation. Because you really don’t want to suffer with presentation depression. So, you can always overcome anxious moments by your own positive thinking. Manage your breathing before presentations. And then before the actual presentation, aim to get your breathing under control. Take long deep breaths and exhale slowly. Perform these exercises several times before you are ready to present. And when you are in front of your audience, don’t rush. So, maintain a strong flow to your presentation with plenty of pauses. Your breathing will be the better for it. Of course, we have an example with this Kate Winslet acceptance speech at the Golden Globe Awards. Ensure that you give presentations with confidence and style. These simple top tips should help you giving presentations. Be fully prepared before you have to give a presentation. Aim to be positive about yourself and what you can do. Get your breathing under control before your presentation. You can learn more skills and techniques about giving presentations when you join a presentation training course at one of more than 40 training centres in the UK., so please don’t hesitate to get in touch. “When a sermon at length comes to an end, people rise and praise God, and they feel the same way after many other speeches.